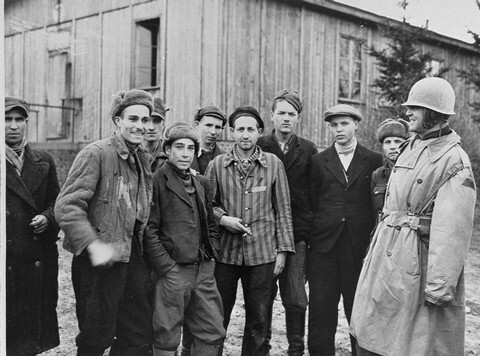 A US army officer (far right) poses with survivors of the Ohrdruf camp, a subcamp in the Buchenwald camp system. Photograph taken after the liberation of the camp. Ohrdruf, Germany, April 1945.